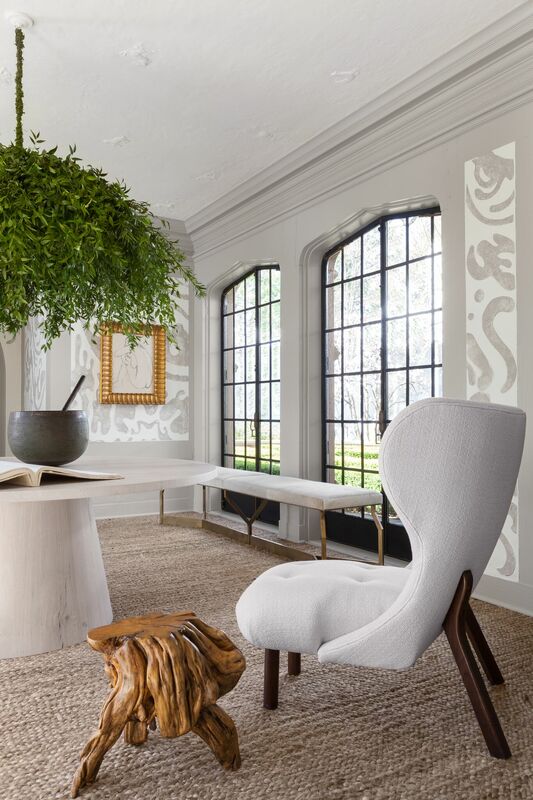 A sophisticated fantasy tour awaits in Serene Interior Design by Michael Del Piero. MDP is a Chicago-based designer whose work in the Hamptons we explored right here. Interior Design: Michael Del Piero. Photo: Janet Mesic Mackie and Tony Soluri. Gold Coast Eclectic. 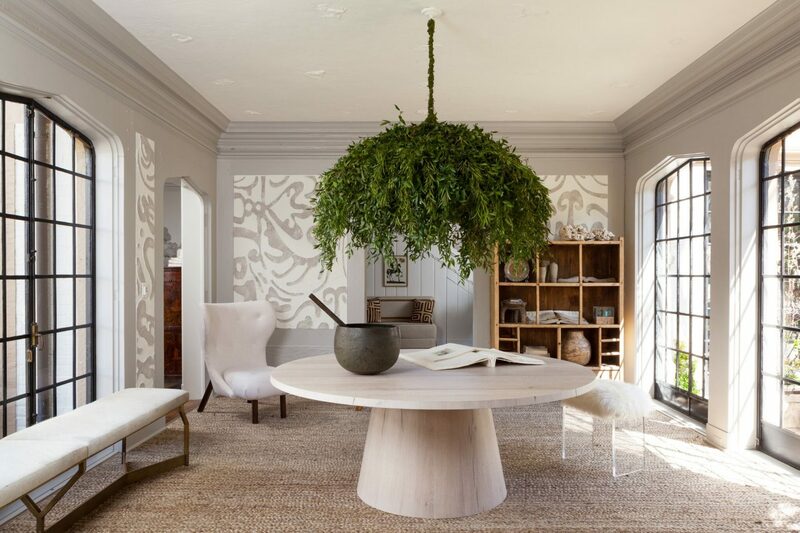 A round dining table strikes a beautiful Brocade chord in the designer’s own apartment. 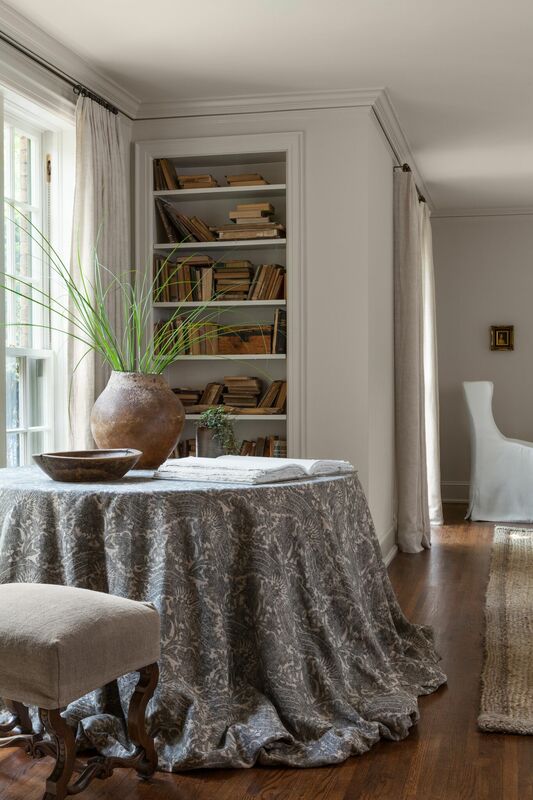 The table covering is gorgeously vintage Fortuny drapery. 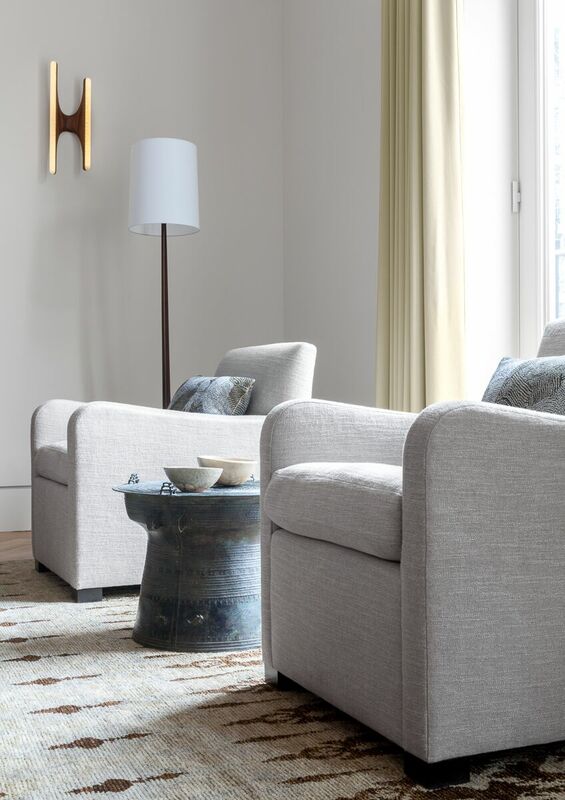 The vintage wingback chair has been upholstered in a Schumacher fabric and has been texturized (frayed) by the designer for a unique, non-traditional treatment. 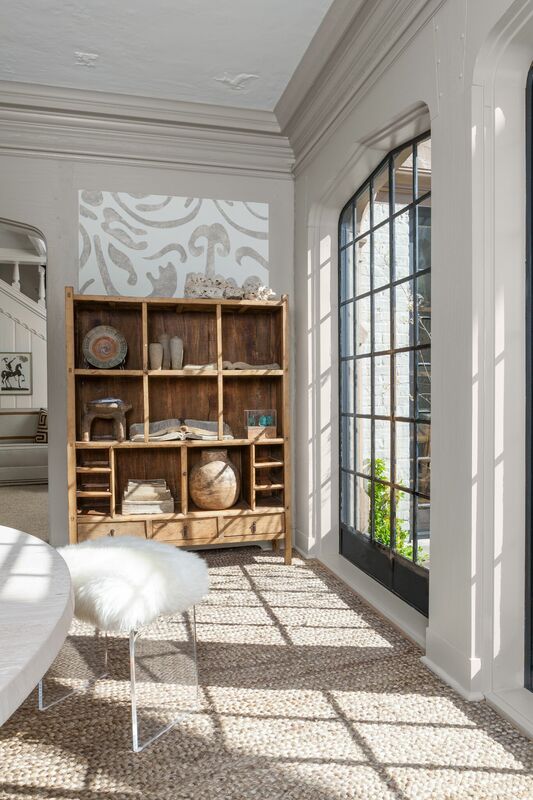 Serene Interior Design by Michael Del Piero…certainly lovely indeed. Rustic refined design, minimal luxury, and poetic timelessness as well as tranquility. Decidedly original interior design inspiration from a Chicago designer. 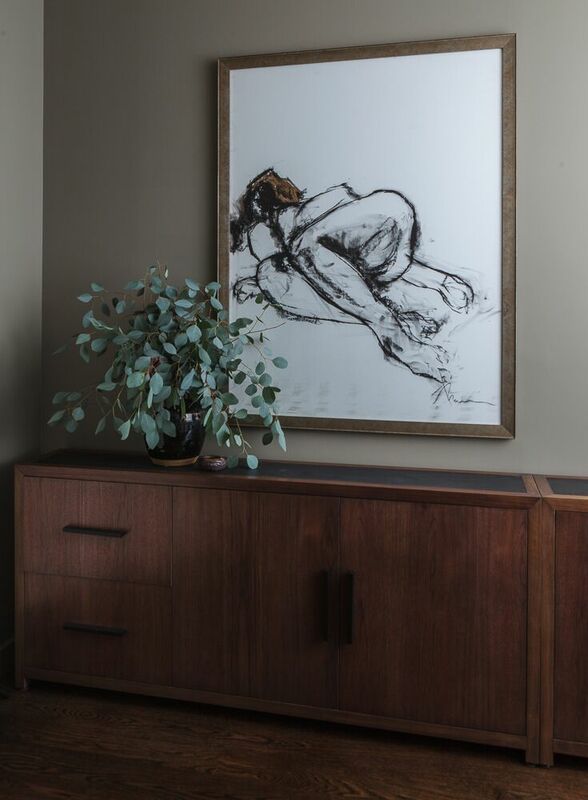 Michael Del Piero adeptly creates a meditative and serene mood in the spaces she designs with strokes of well-traveled genius. 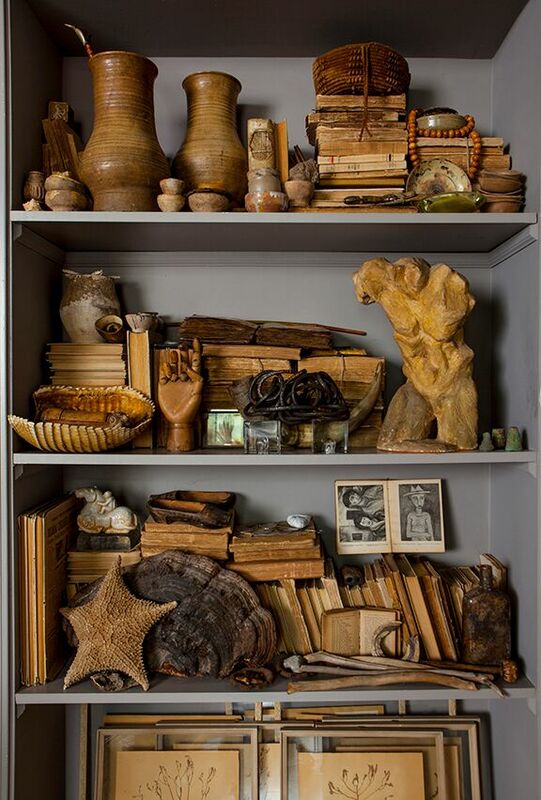 Her interiors are restrained yet warm, ancient yet fresh, and always suggestive of atmospheric poetry. There is a quietness and a gentle refinement when you see the work in person in all of its hushed wonderment. Interior Design: Michael Del Piero. Photo: Janet Mesic Mackie and Tony Soluri. Gold Coast Eclectic. Built-in shelves feature an artful display of the designer’s treasures – I can’t stop staring or considering the loveliness of collecting for color! Serene Interior Design by Michael Del Piero…certainly lovely indeed. Rustic refined design, minimal luxury, and poetic timelessness as well as tranquility. 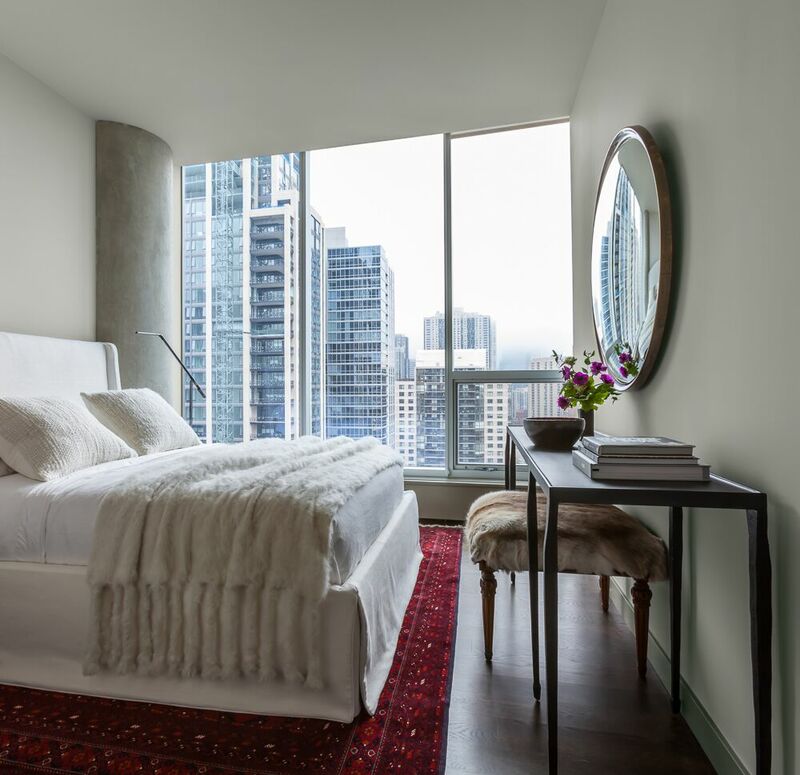 Decidedly original interior design inspiration from a Chicago designer. 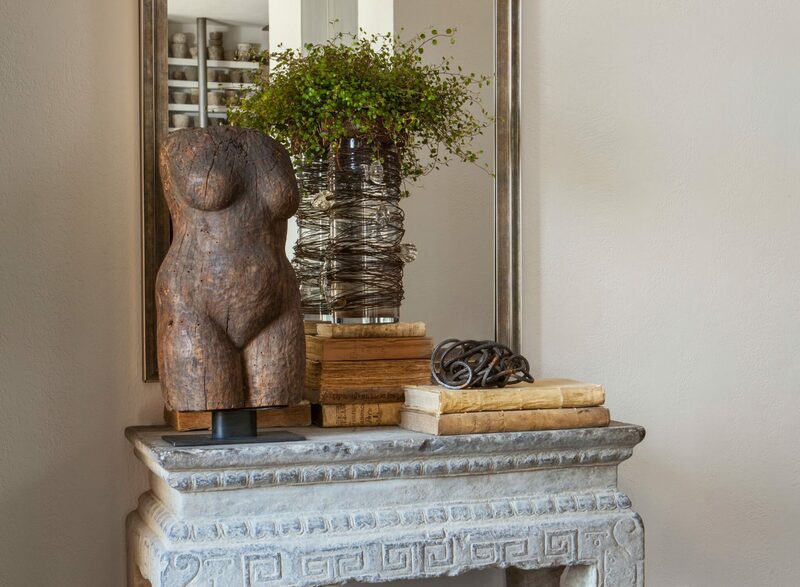 MDP favors abstract art and mingles it with old pottery, textural global treasures, and bohemian luxury. 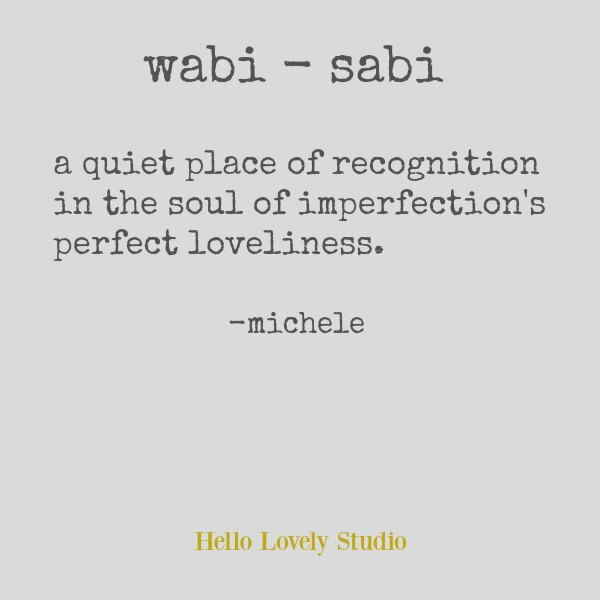 The sophisticated drama, rustic character, and wabi sabi whispers are created with her artful eye, careful curation, and passion for travel. Interior Design: Michael Del Piero. Photo: Janet Mesic Mackie and Tony Soluri. Gold Coast High Rise. 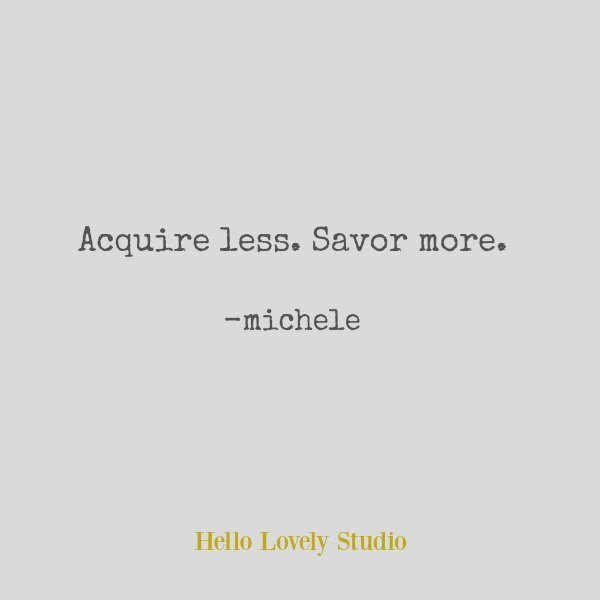 What a study in serenity, rich texture, and humble rough luxe-ism. The tranquility in the space contrasts so interestingly with the cityscape! 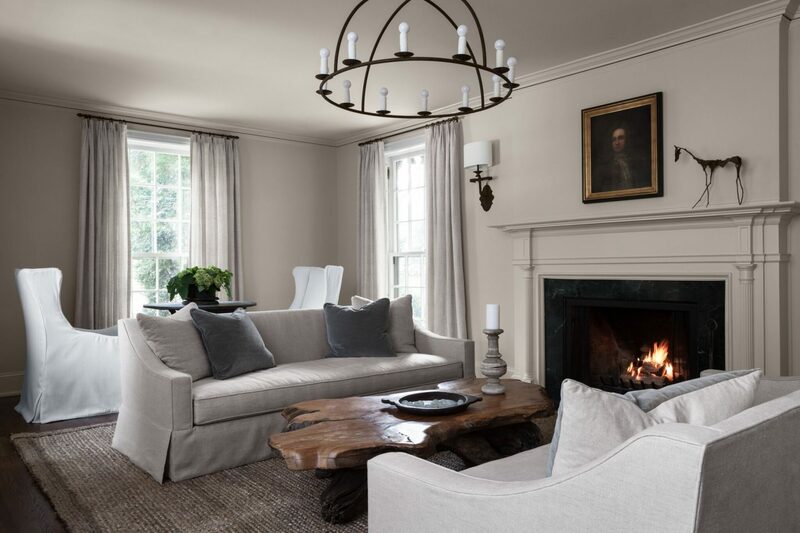 Serene Interior Design by Michael Del Piero…certainly lovely indeed. Rustic refined design, minimal luxury, and poetic timelessness as well as tranquility. 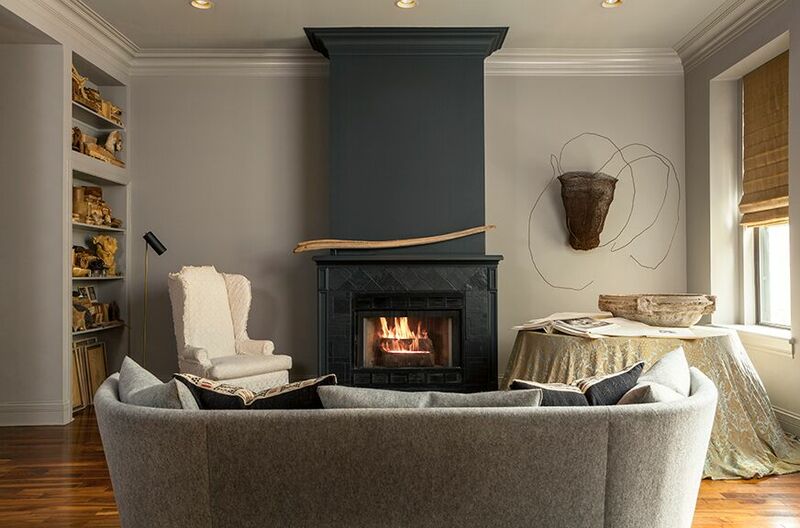 Decidedly original interior design inspiration from a Chicago designer. 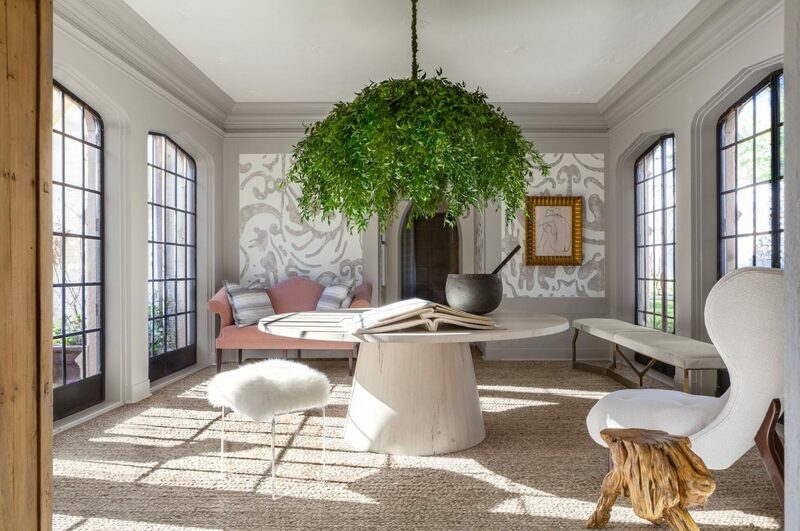 You can’t miss the pared-down purity in Michael Del Piero’s designs…they have what I term as ‘linger factor.’ Curated objects and furnishings in her bespoke interiors leave plenty of breathing room for the admirer, plenty of dreaming room for the open mind, plenty of inspiration for the spirit. Interior Design: Michael Del Piero. Photo: Janet Mesic Mackie and Tony Soluri. Gold Coast Transitional. 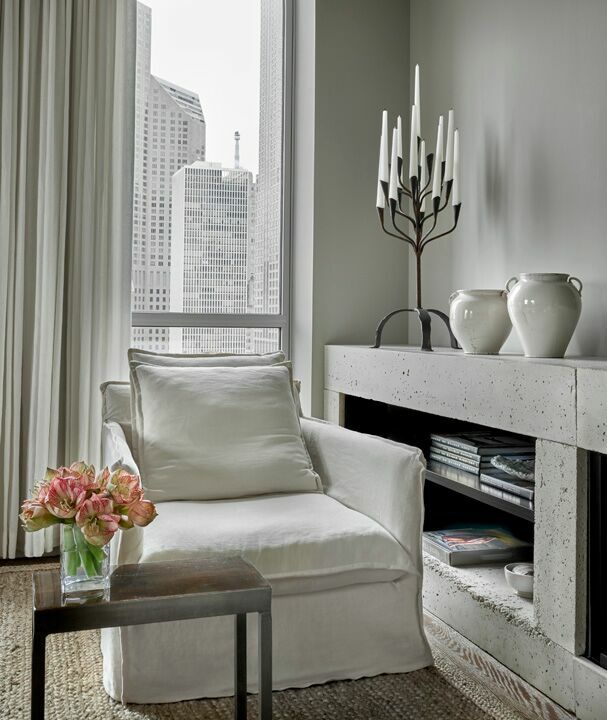 Cozy and white bliss in a Chicago highrise! 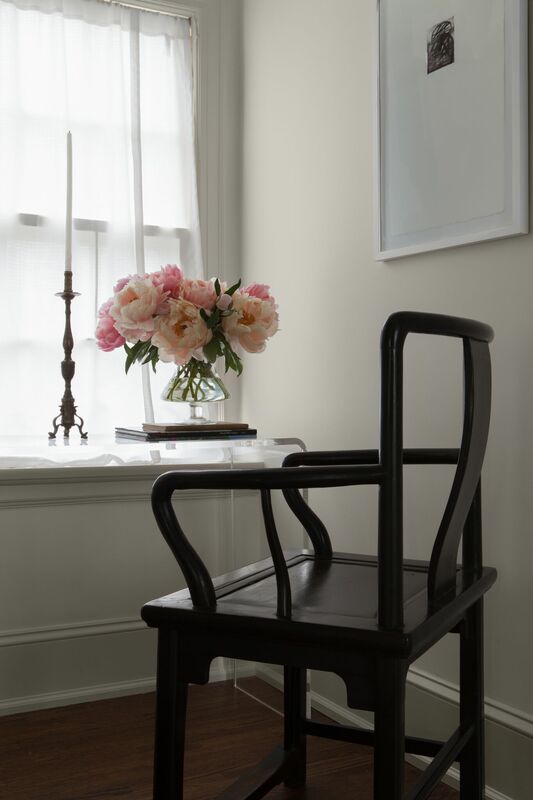 Serene Interior Design by Michael Del Piero…certainly lovely indeed. Rustic refined design, minimal luxury, and poetic timelessness as well as tranquility. 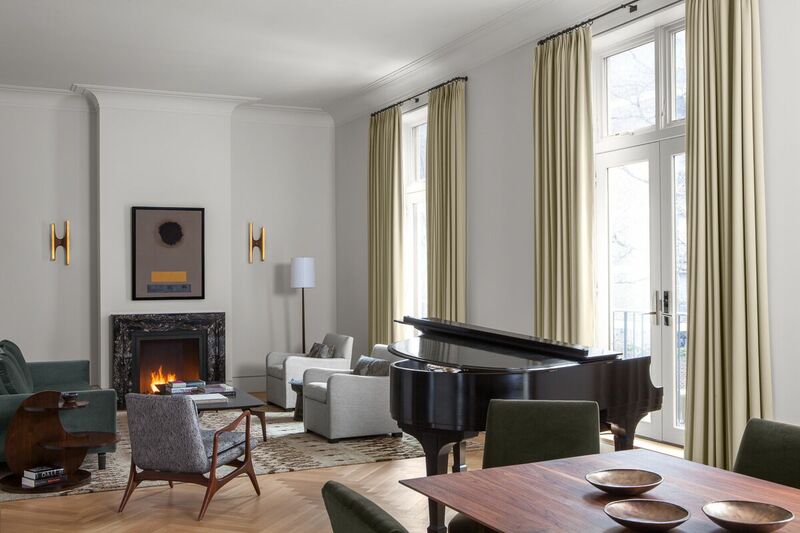 Decidedly original interior design inspiration from a Chicago designer. Let’s get lost in this fantasy collection of interior design moments around my neck of the woods…Chicago. Interior Design: Michael Del Piero. Photo: Janet Mesic Mackie and Tony Soluri. Gold Coast Transitional. 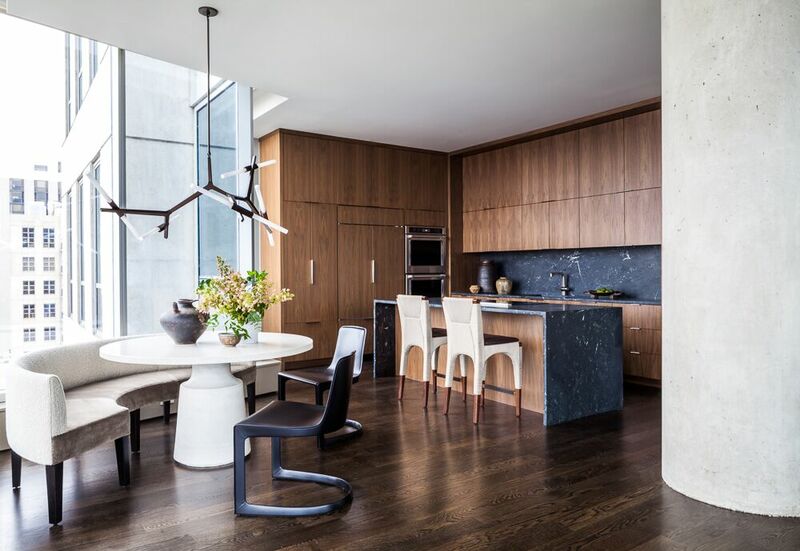 Curves and modern silhouettes add drama and interest while this neutral kitchen still remains understated, cool, and minimal. Serene Interior Design by Michael Del Piero…certainly lovely indeed. Rustic refined design, minimal luxury, and poetic timelessness as well as tranquility. Decidedly original interior design inspiration from a Chicago designer. Interior Design: Michael Del Piero. Photo: Janet Mesic Mackie and Tony Soluri. Gold Coast Transitional. 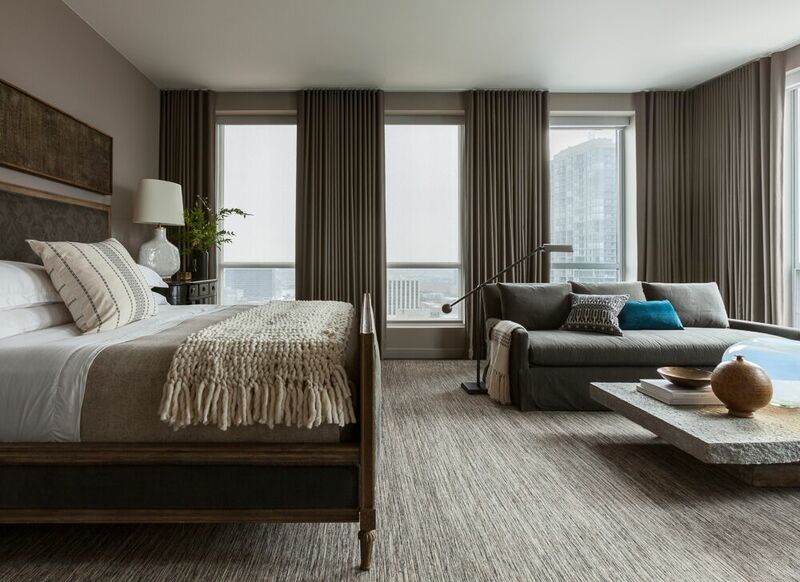 More irresistible fringe and cocoon factor in a city bedroom. Serene Interior Design by Michael Del Piero…certainly lovely indeed. Rustic refined design, minimal luxury, and poetic timelessness as well as tranquility. Decidedly original interior design inspiration from a Chicago designer. Interior Design: Michael Del Piero. Photo: Janet Mesic Mackie and Tony Soluri. Gold Coast Transitional. 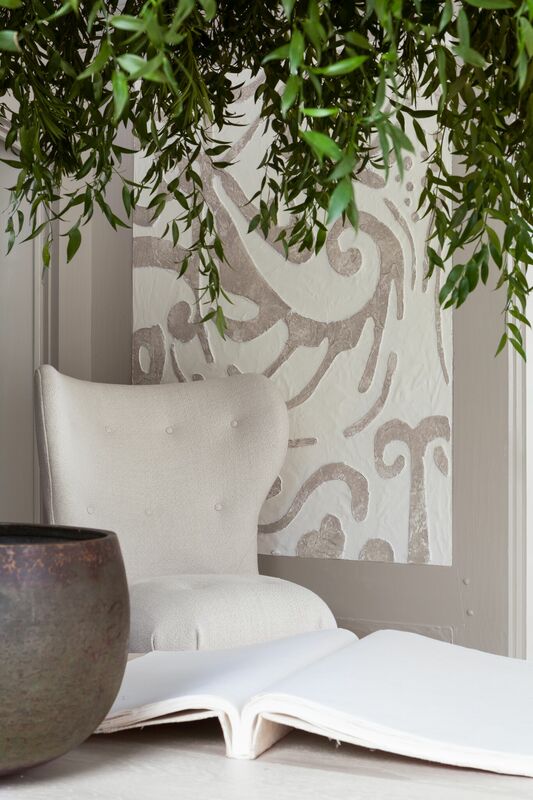 Serene Interior Design by Michael Del Piero…certainly lovely indeed. Rustic refined design, minimal luxury, and poetic timelessness as well as tranquility. 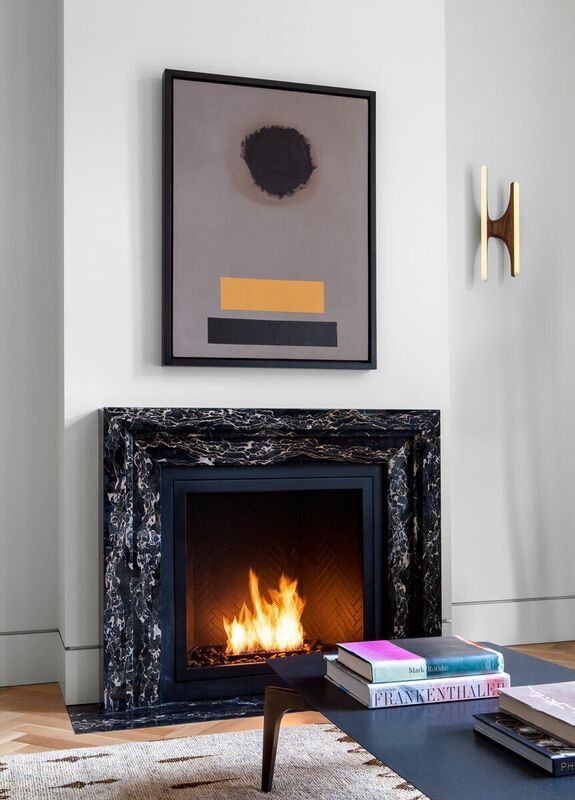 Decidedly original interior design inspiration from a Chicago designer. Interior Design: Michael Del Piero. Photo: Janet Mesic Mackie and Tony Soluri. Lake Forest Showhouse Garden Room. 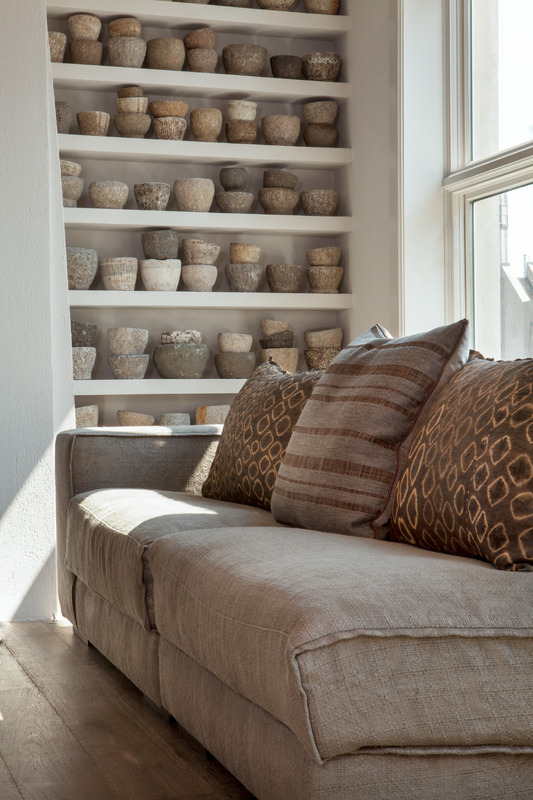 Unique art,ancient pottery, over-scaled furniture and accessories, and a celebration of natural light! The large round table in the center of the room is so Michael and speaks to her convictions about how a room should function for a multitude of activities. 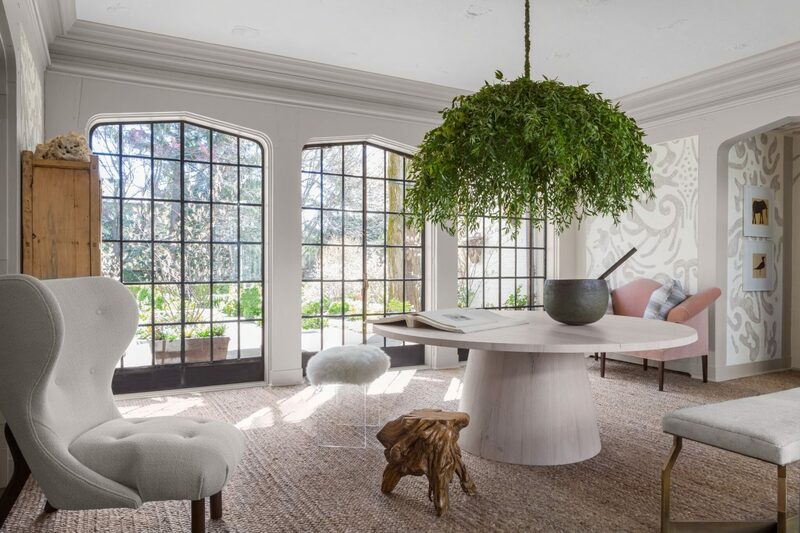 Serene Interior Design by Michael Del Piero…certainly lovely indeed. Rustic refined design, minimal luxury, and poetic timelessness as well as tranquility. 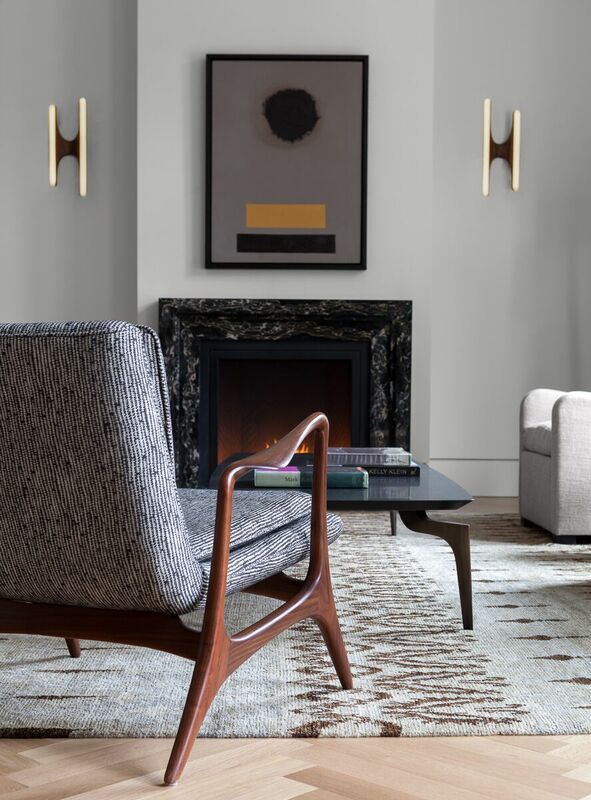 Decidedly original interior design inspiration from a Chicago designer. Interior Design: Michael Del Piero. Photo: Janet Mesic Mackie and Tony Soluri. Lake Forest Showhouse Garden Room. Serene Interior Design by Michael Del Piero…certainly lovely indeed. Rustic refined design, minimal luxury, and poetic timelessness as well as tranquility. 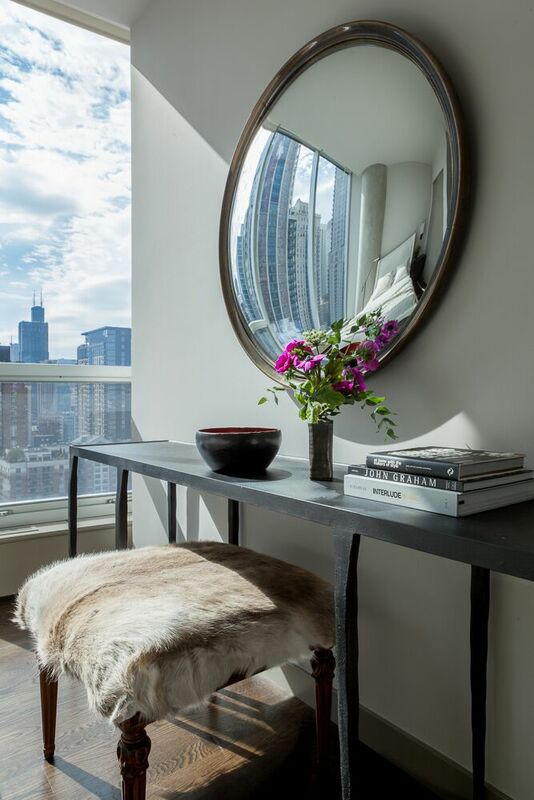 Decidedly original interior design inspiration from a Chicago designer. Interior Design: Michael Del Piero. Photo: Janet Mesic Mackie and Tony Soluri. Lake Forest Showhouse Garden Room. Interior Design: Michael Del Piero. Photo: Janet Mesic Mackie and Tony Soluri. Lincoln Park Moderne. We’ll continue our tour of Michael Del Piero’s work in Chicago in my next post! For more rustic refined inspiration, see THIS. 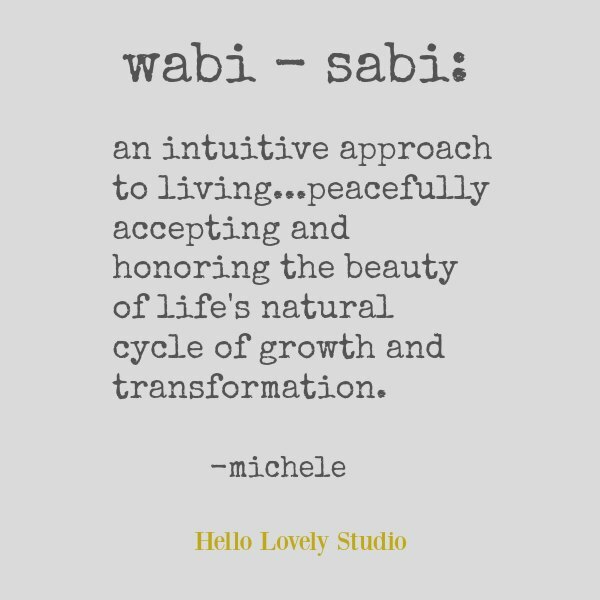 Thank you so much for this beautiful inspiration today. 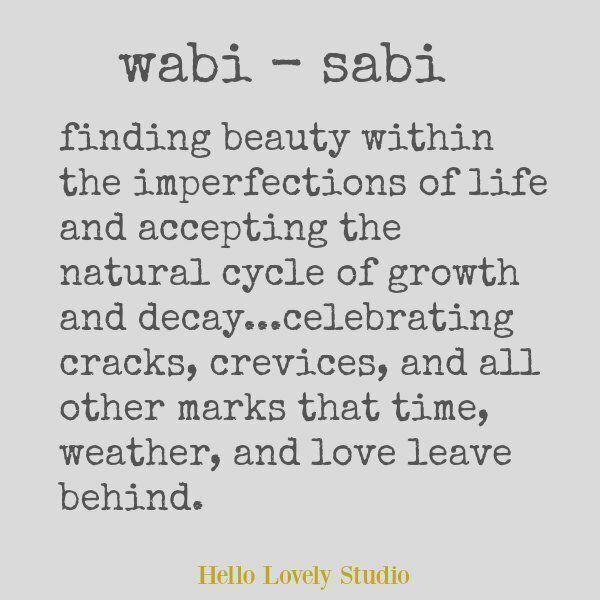 I loved the passages about wabi-sabi as well as the work of this designer. 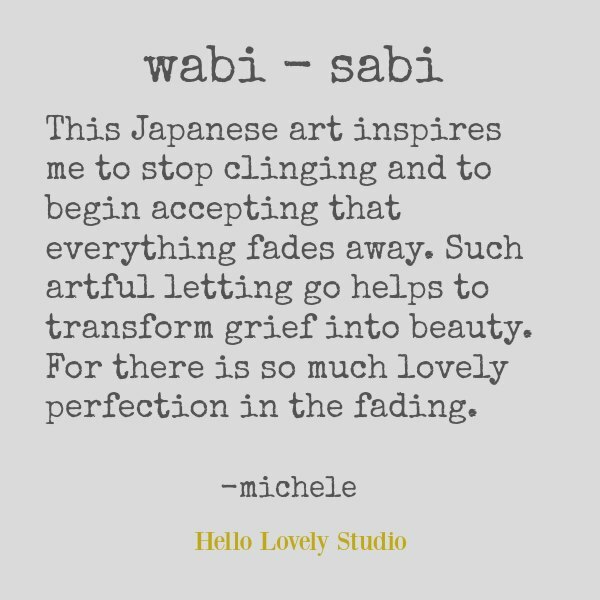 Thanks so much for the kind words and for reading – so much to admire about simple things wabi sabi! Wow! Just wow! My favorite of all your posts! 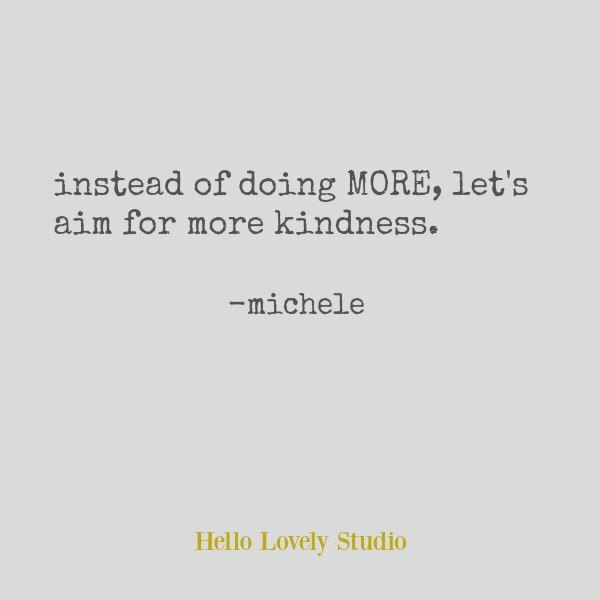 Amazing designer!